Everyone has their favorite method of learning and training and mine is to create an overview. Learning it by building it. 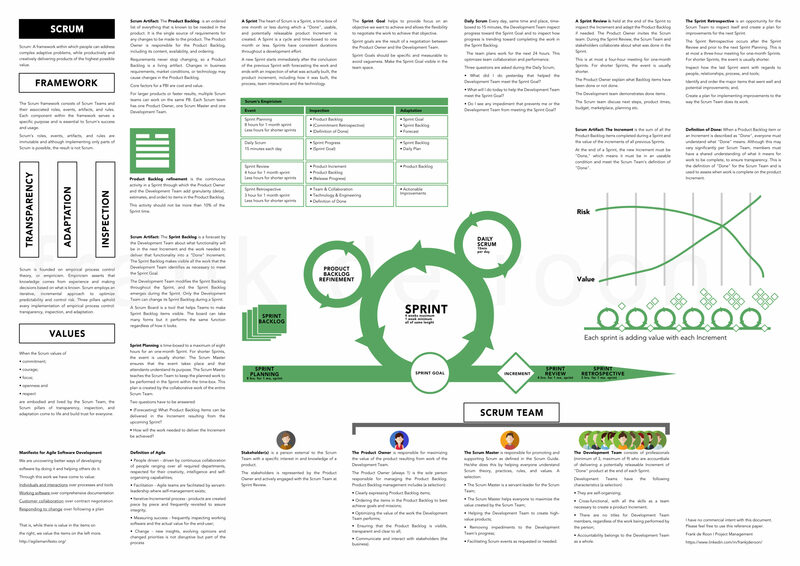 Here you can find the Scrum reference Sheet I created when I was learning for my PSM certification. Maybe it is of some use for you too. It is a big file so allow for a few moments to show. Click to enlarge.